M&S Parking: Is NYC boosting its ticket revenue with shorter yellow lights? Is NYC boosting its ticket revenue with shorter yellow lights? Over the past 5 years, New York City's 170 red light cameras have brought in over $235 million by ticketing motorists running the light. However, a new AAA study suggests this amount may have been boosted by shorter yellow light times that don't allow drivers enough time to make it through the intersection. "As it stands right now, drivers simply don't have enough time to make that 'go, no-go decision' when the light turns yellow and that's not safe" said the AAA's Robert Sinclair Jr. According to the study, the yellow light times that were checked were up to 15% shorter than the standard three seconds the Department of Transportation has established. A number of motorists speaking to CBS news believed the yellow lights were purposely shortened to bring in higher ticket revenues for the city. 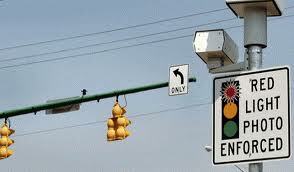 What do you think about the city's red light cameras? Are they effective in deterring drivers from running through the light or just a way for the city to make some extra money?